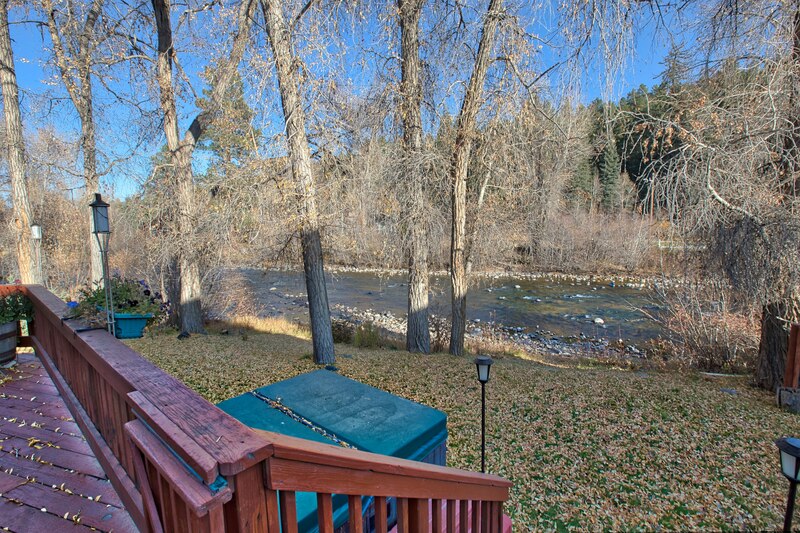 Imagine spending your vacation in a Norman Rockwell painting as you drive through the San Juan River Village Subdivision. 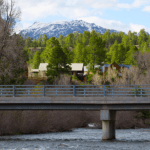 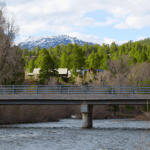 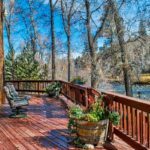 The gently rolling landscape guides you through tall fir trees and aspens, crystal clear ponds and eventually to the bridge that crosses the roaring San Juan River. 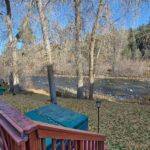 Relaxing and private, The River Bend is only 25 minutes from Wolf Creek Ski Area and minutes from restaurants, activities and shopping. 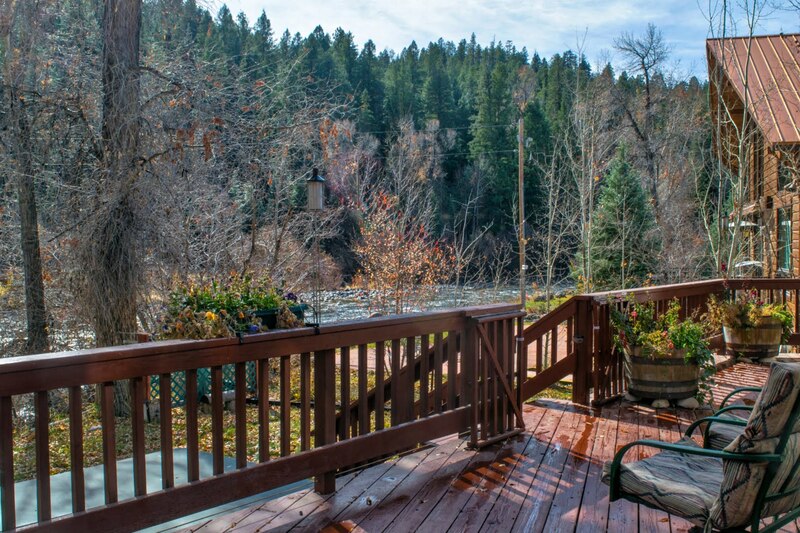 As you walk through the front door of The River Bend, you will feel the wide expanse of the living room with 20 ft vaulted ceilings and large windows overlooking the San Juan River. 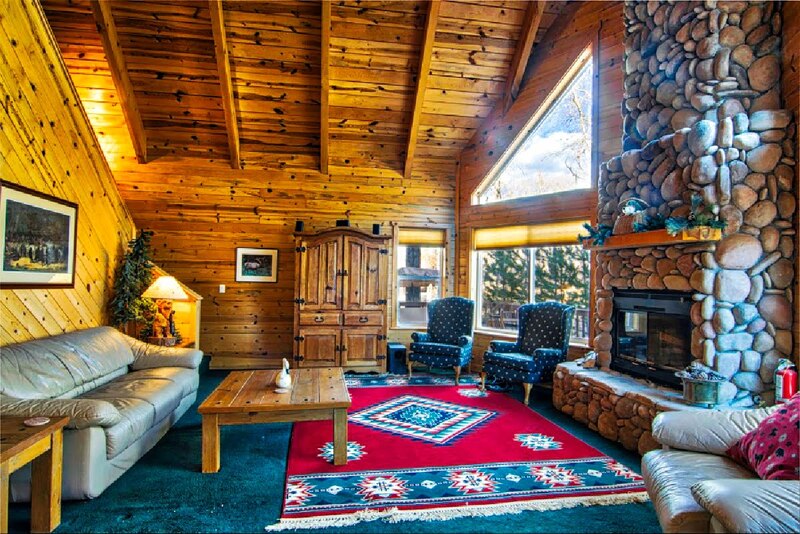 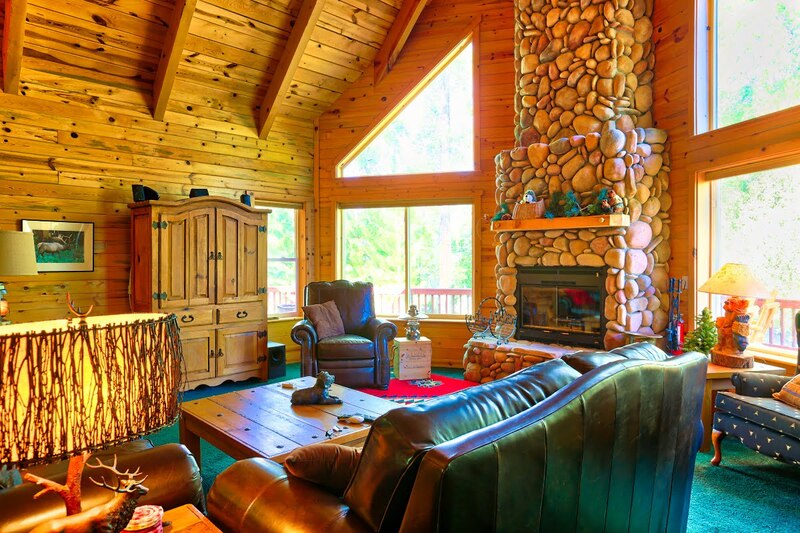 Spend your winter nights watching the roaring fire in front of the massive two story fireplace while reading, playing games or just relaxing with friends and family. 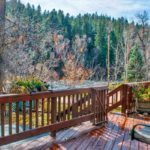 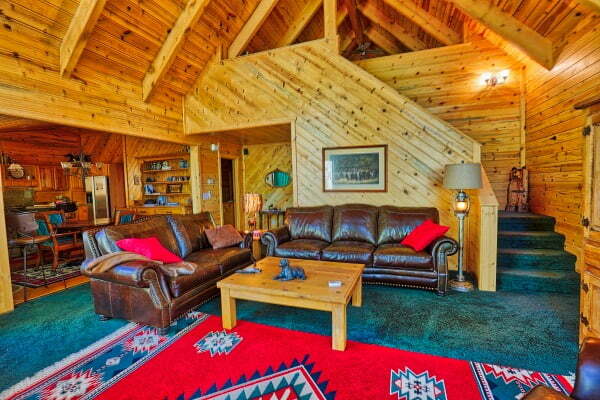 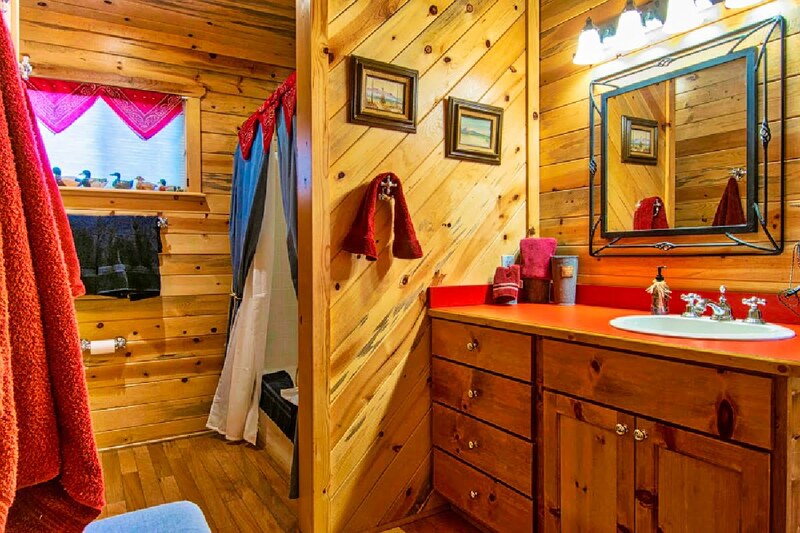 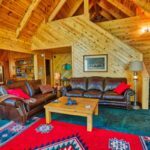 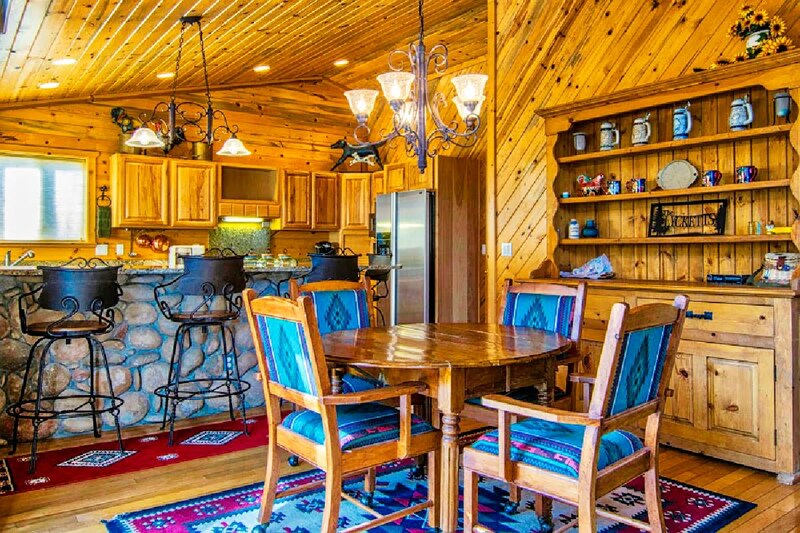 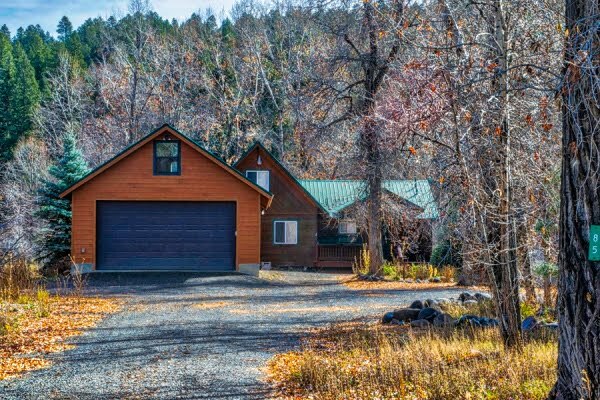 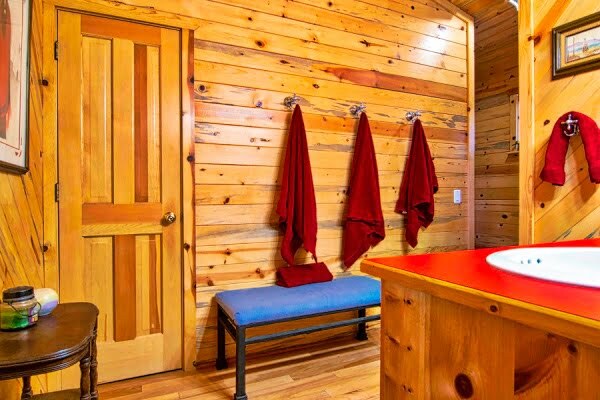 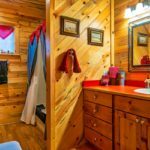 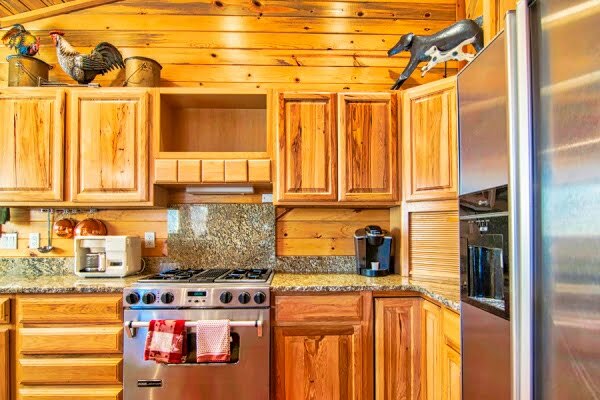 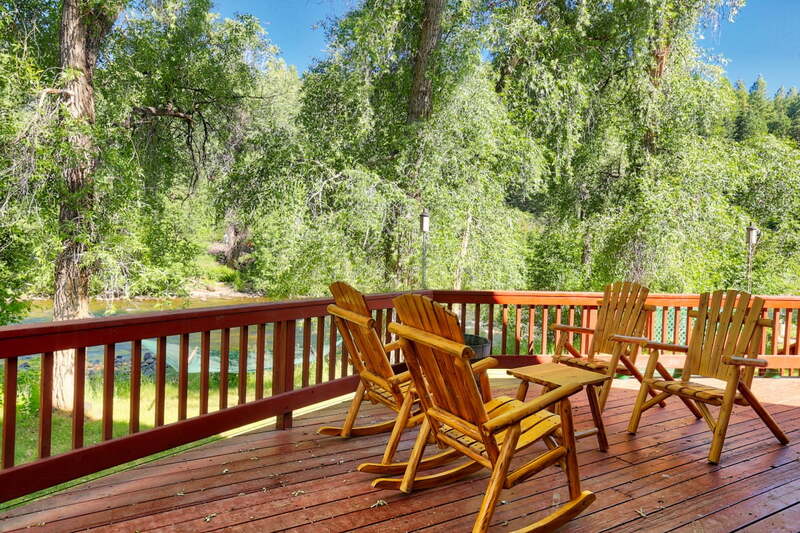 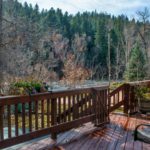 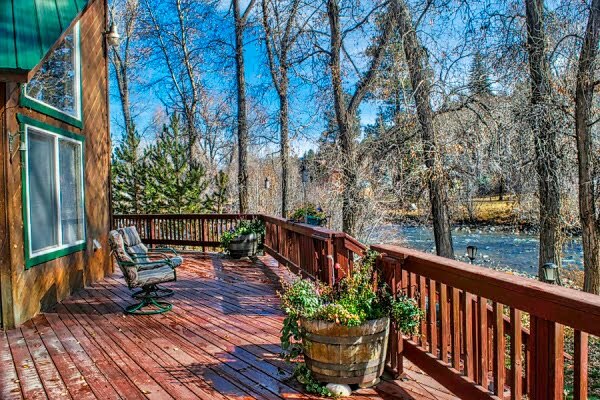 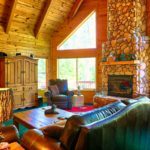 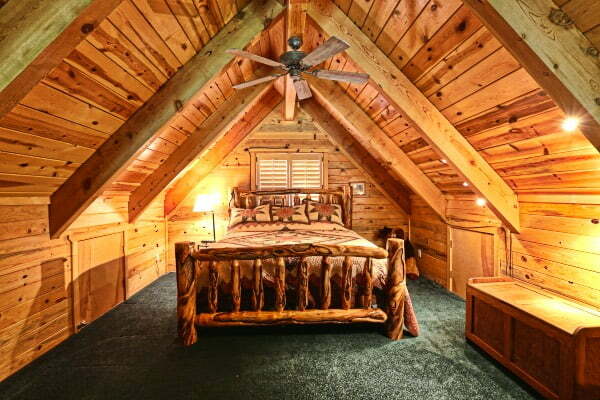 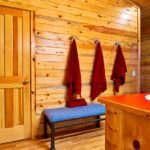 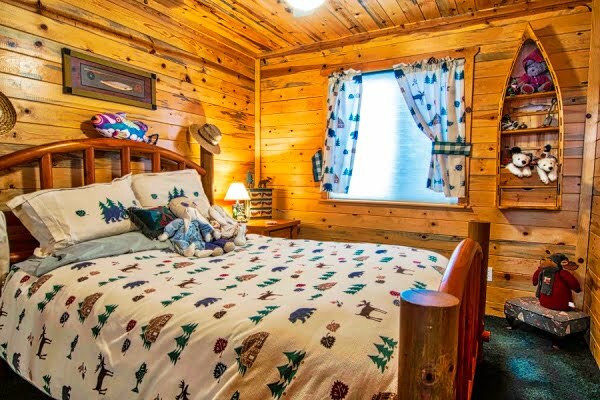 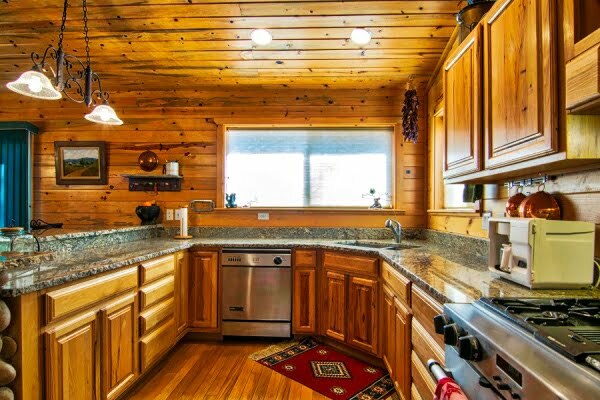 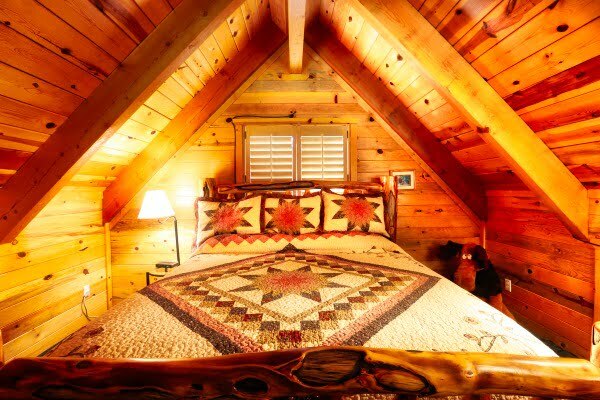 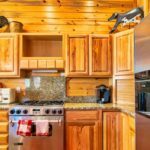 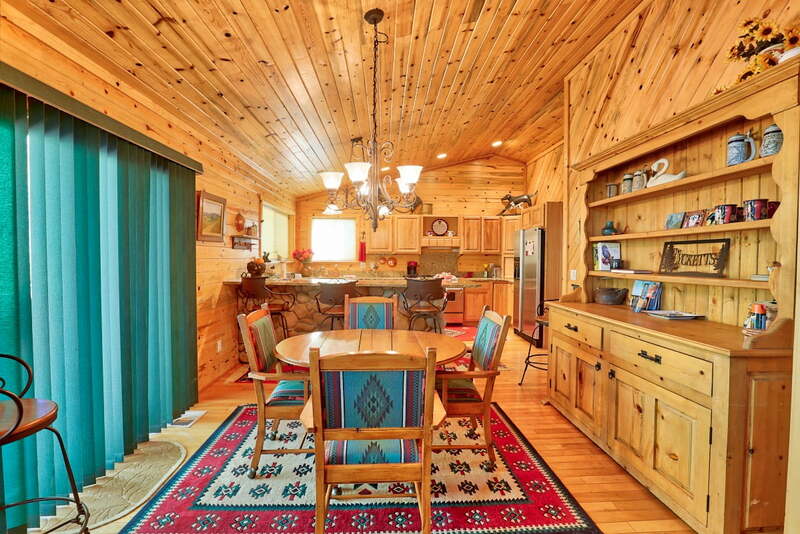 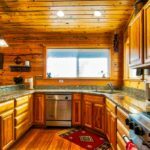 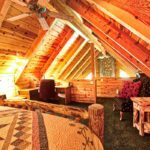 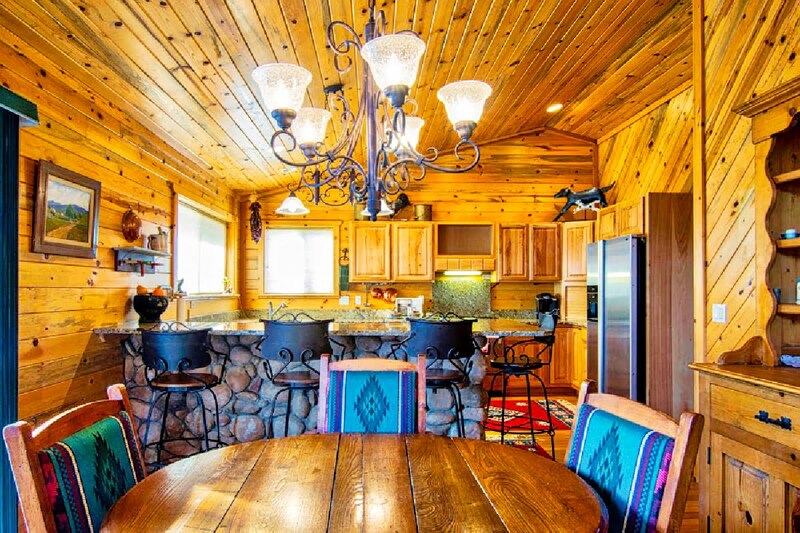 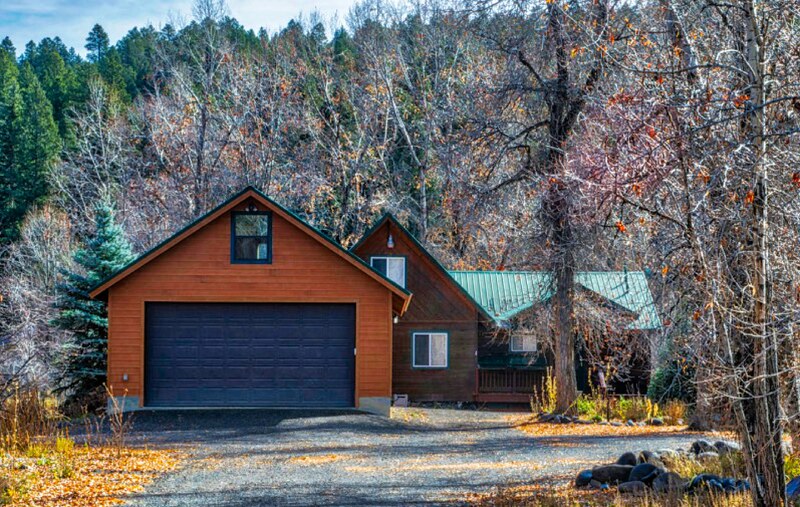 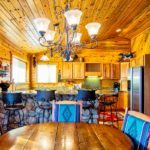 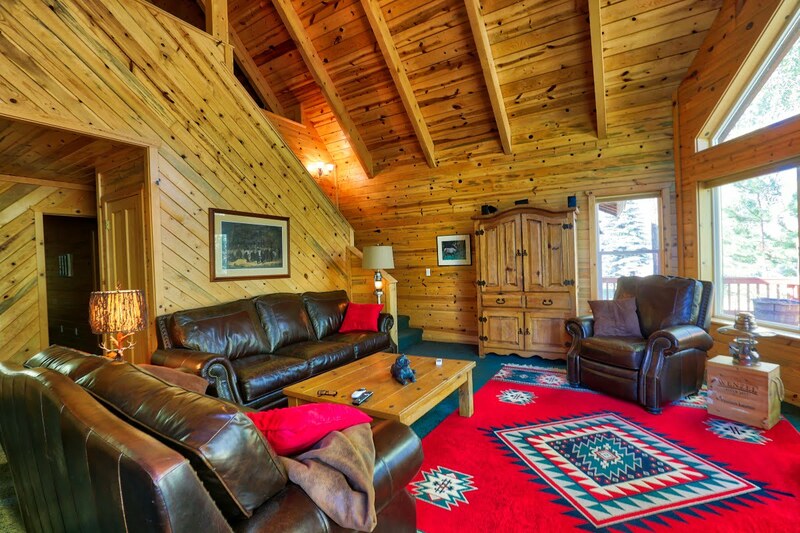 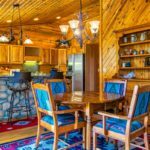 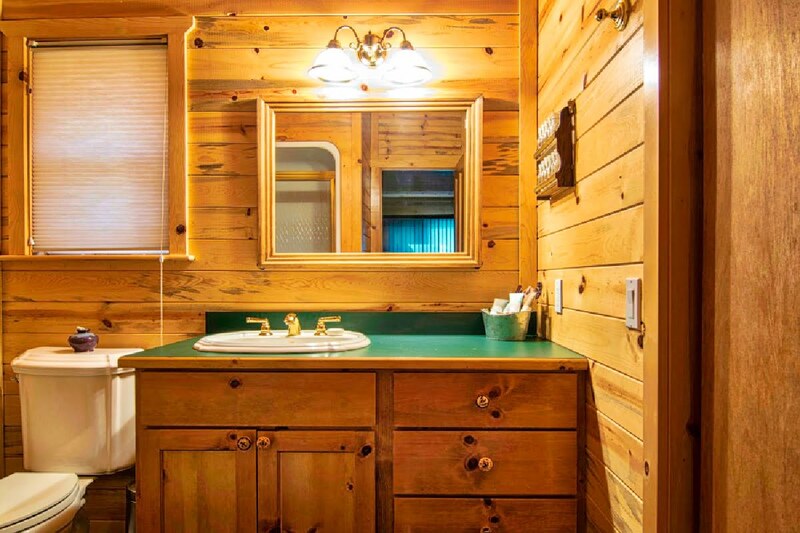 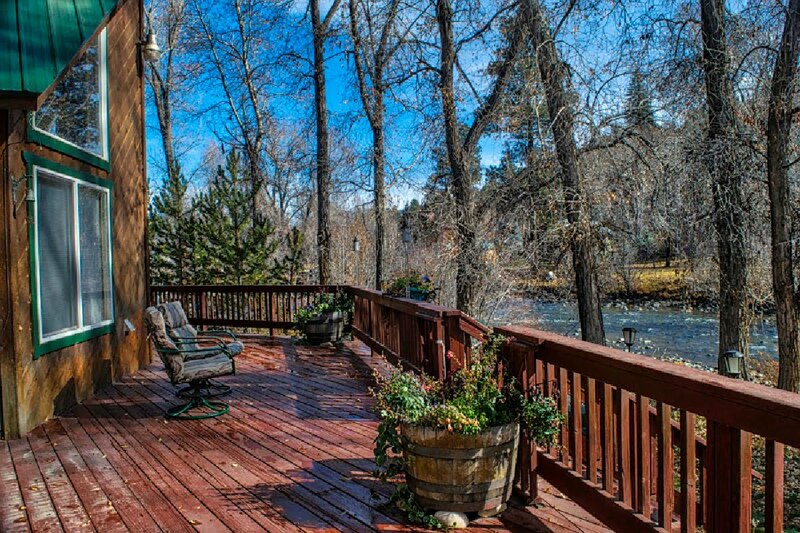 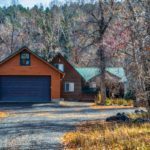 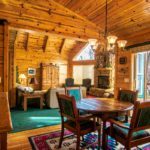 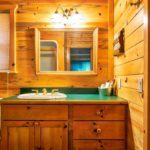 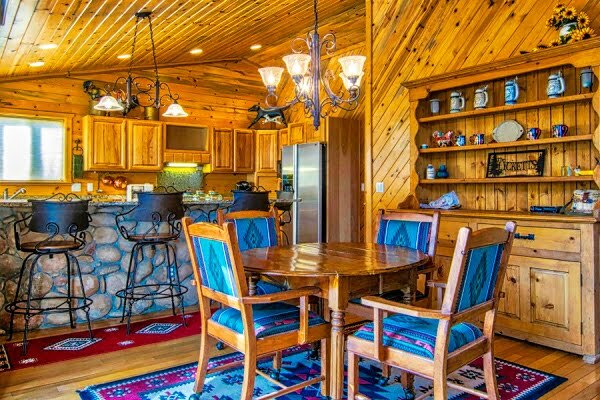 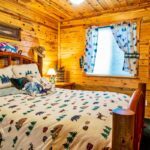 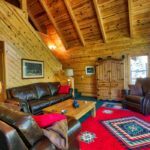 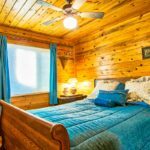 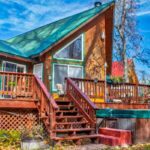 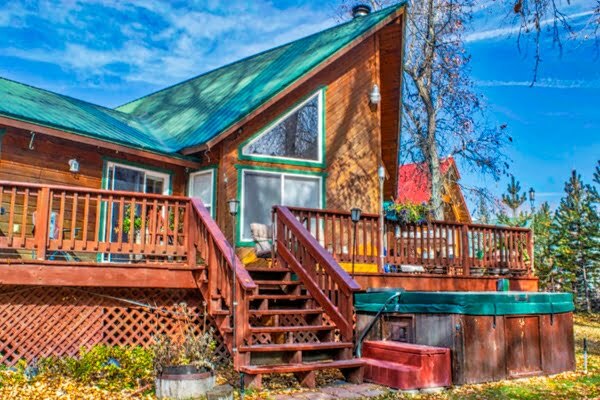 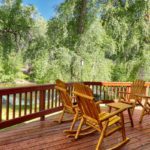 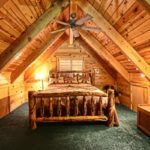 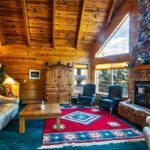 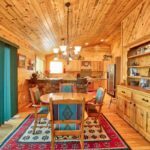 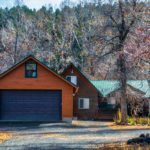 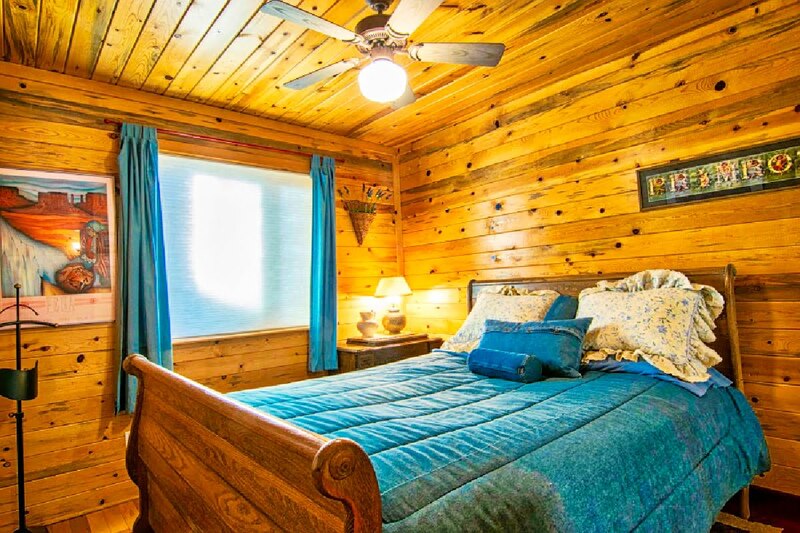 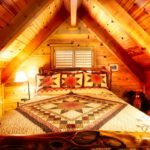 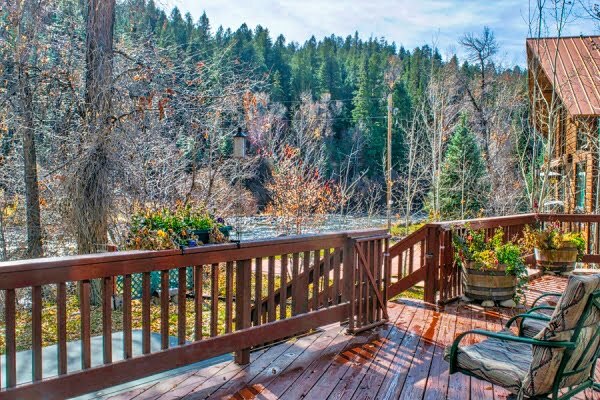 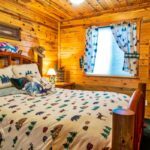 Enjoy the sounds of the river and some of the best trout fishing in Colorado, or relax on the large deck overlooking the river in your private hot tub. 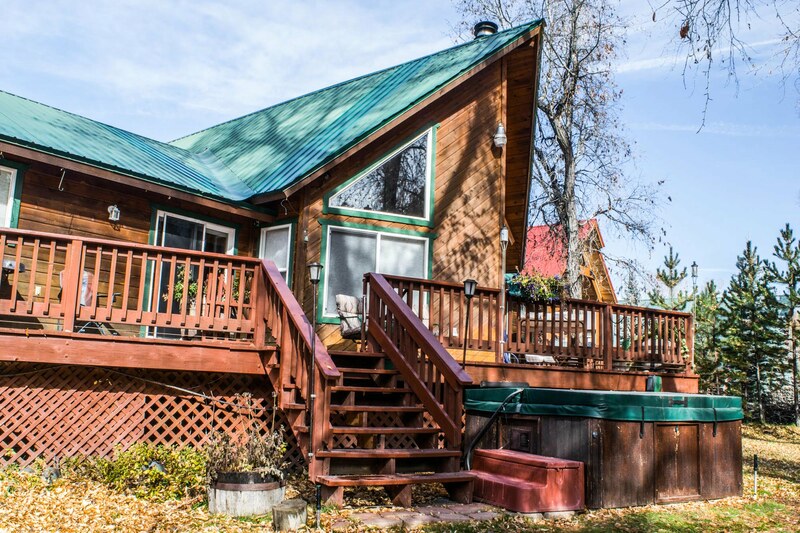 With three bedrooms, large loft and 2 baths, you will have plenty of room for everyone. 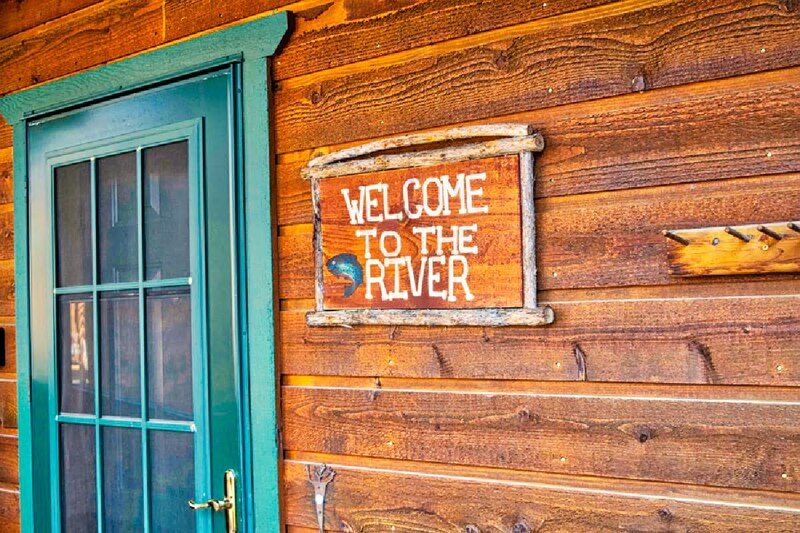 The River Bend is the perfect place for family and friends to gather.! 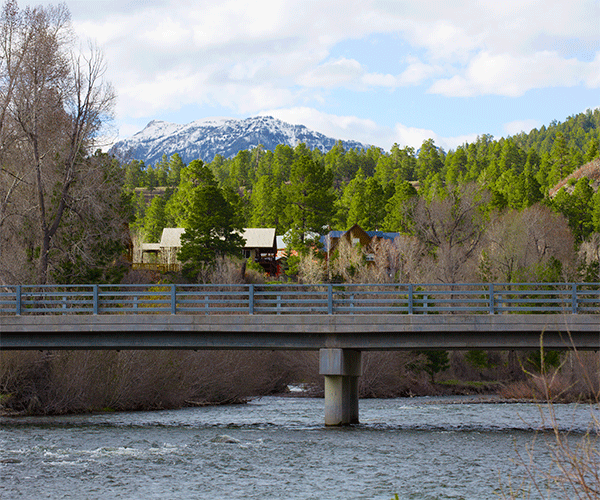 Pagosa Springs is beautiful in every season. 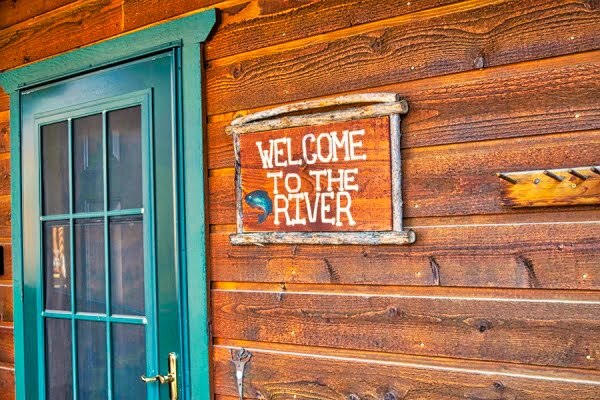 Visitors come year round to visit the mineral rich hot springs known all over the globe for their healing and therapeutic effects. 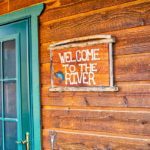 Come visit in the summer and enjoy hiking, backpacking, fly-fishing and river rafting or in autumn take in the view of the fall colors of the season as great stands of aspen erupt in full color across the mountain landscape. 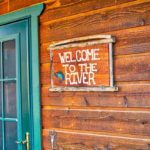 Be a kid again and watch as the hot air balloons take off over the river downtown during the annual Balloon Fest. 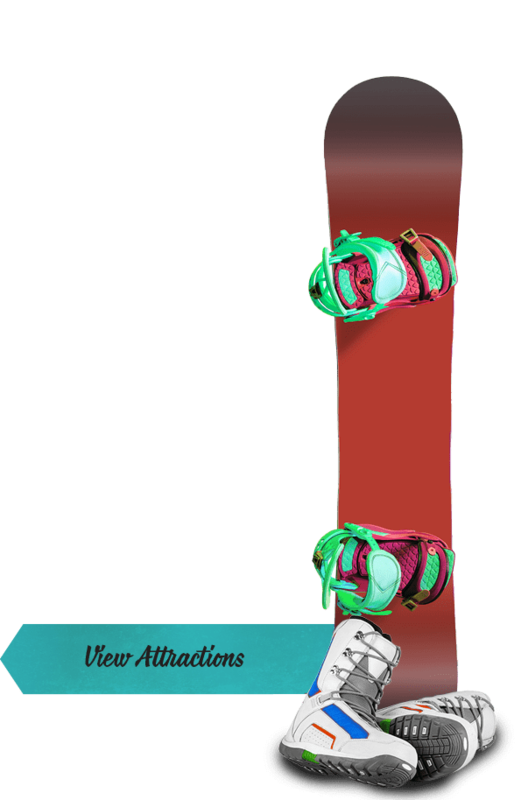 And finally when winter arrives, take a short drive to Wolf Creek Ski area to experience the most snow and powder than any other city in Colorado. 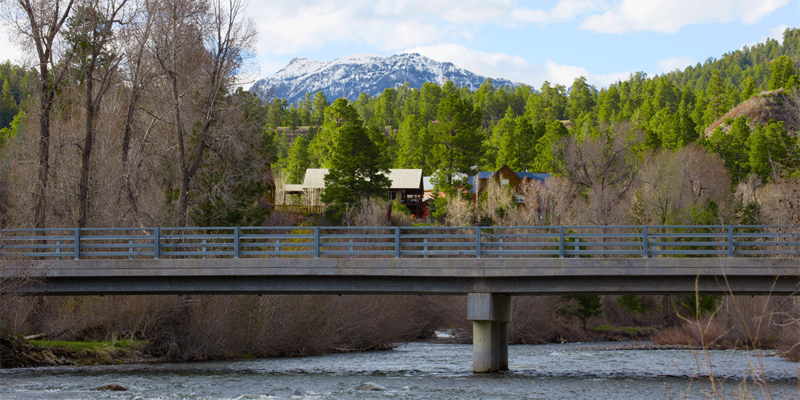 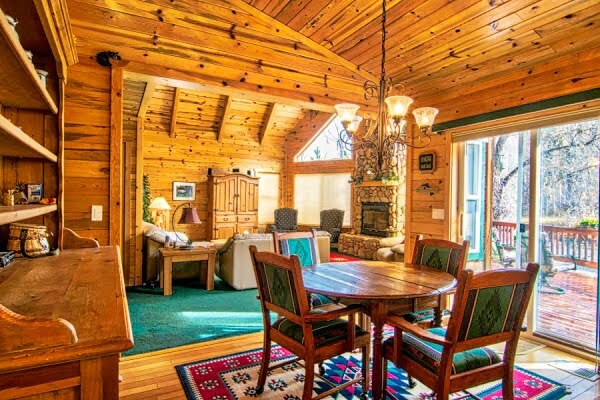 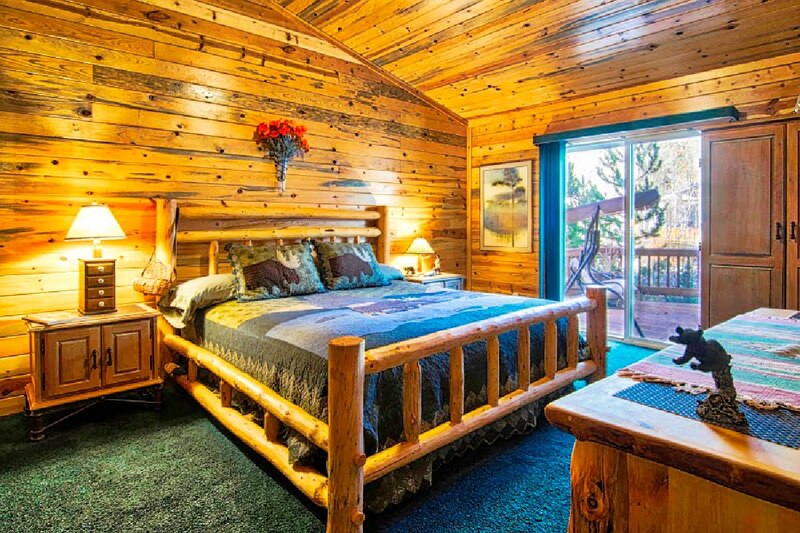 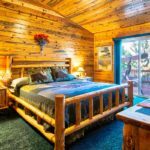 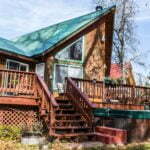 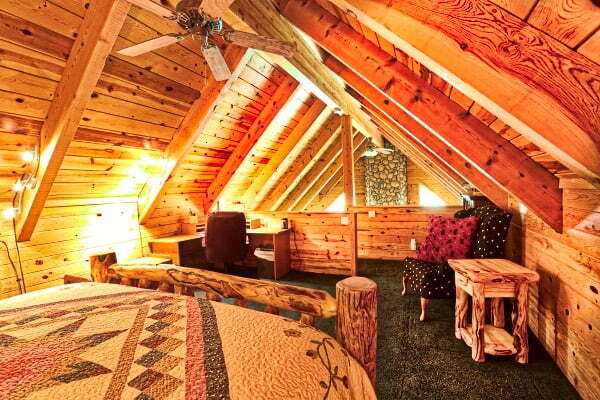 Anytime is a good time to visit Pagosa Springs!